Emma Sandall answers your questions. I’ve become so used to wearing warm up layers during classes and rehearsals that I’ve grown nervous about taking them off and revealing my body. What do you recommend? You’d be surprised at the number of your colleagues who also struggle seeing their bodies next to naked in the ballet studio with that unforgiving mirror glaring back. Once upon a time we were more modestly clad, so hours in front of the glass were not so confronting. (For a good example as to how our dress has changed, I recommend you watch the Royal Ballet’s Youtube video Ballet Evolved: How ballet class has changed over the centuries.) I don’t think it is a coincidence that as our studio wear has become more revealing, tight and elastic, our technique has become cleaner and more extreme, without folds of cloth restricting movement. We work differently when we wear layers than when the body is revealed. It’s the sensory feedback and appearance of what we wear or leave uncovered that subtly but significantly affects our dancing. For the pulled-up ballet aesthetic with its tightly closed fifth positions and fast batterie work, bare ballet tights are definitely the thing with a simple leotard, or t-shirt for men, or a unitard, which makes you aware of how level your hips, lifted your waist, relaxed your diaphragm and dropped your shoulders are. Layers on top of this, which conceal your body or give the wrong sensory feedback, can subtly disturb your technique. . . This is an extract from "Ask Emma", in the August/September edition of Dance Australia... OUT NOW! 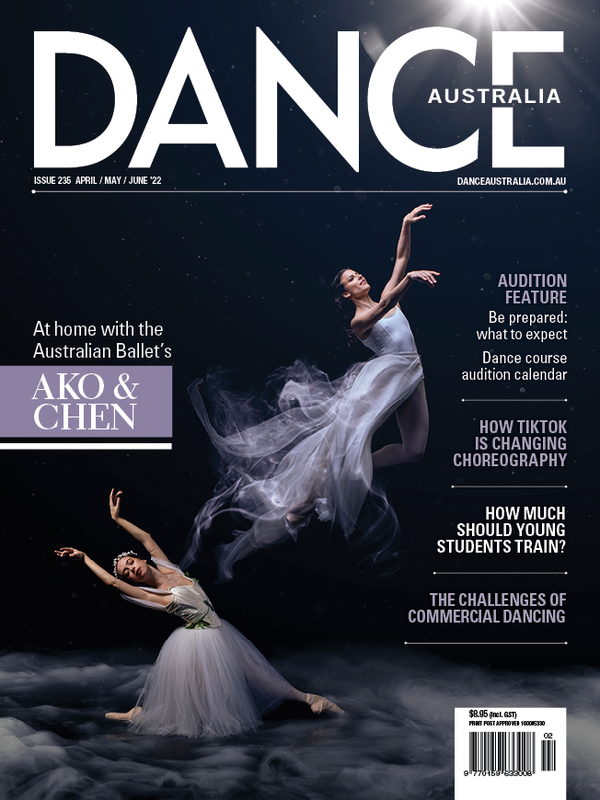 To read the rest of this article and more like this, buy Dance Australia at your favourite magazine retailer or purchase an online copy via the Dance Australia app or subscribe here. Pictured is Amy Harris, senior artist with The Australian Ballet and 2018 Block Ambassador.